Here are 16 of the most common SEO mistakes. You should always be aware of the entire positioning strategy. Web audits are made, and you often find the same faults; they are patterns that are repeated again and again, and for a positioning strategy, it is fundamental not to commit these errors that have an easy solution. Sometimes, you might want to hide a page but doing it too many times can make Google suspicious and alert. You should keep in mind that even with the “no follow” tag, Google will continue to index the link, although the flow of PageRank will be cut. Why would you use this label? Well, it is used to tell search engines that instead of the current page, the linked URL must be treated as unique. Your purpose is to avoid duplicate content. What is a canonical label? It is a label that is used so that Google won’ index pages with the same content as different pages. Although it is true, it is better to use redirects 301 but sometimes it is not possible, and in these cases, it is when you use the canonical label. Some time ago, it was thought that having many outbound links reduced the SEO value that was sent to each of them, but now we know that this is not the case. These links affect only the destination website and not the page that sends them. You must bear this in mind and know that Google can suspect links on pages that for example have a PageRank of 5 will never link to pages with a PageRank 1. Yes, it is true that there are toxic links that are those that Google interprets as “Undesirable.” I would also recommend that you put the “no follow” tag on the affiliate links. Outgoing links will help you in your positioning strategy. Linking to sites that provide valuable content that complements your information will increase the credibility of your articles. It also endows them with naturalness. You must build your URLs well. A well-constructed URL is fundamental in a positioning strategy. The URL must have elements that tell us what that particular page is about. They must be clean URLS, the shorter, the better, without underscores or filled with numbers. URL must take the domain into account and ensure that it is at an appropriate folder level. What is an Iframe? It is an HTML element that is used to insert content from another source in a web page. Its use is necessary for some places. But do not use it anyhow since Google would be put on alert and your positioning strategy could be affected. I do not tell you not to use them. Sites like YouTube use them. Many formats are difficult to index by search engines, such as flash files, java, images. This does not mean you cannot use them on your website, but do not go over their use and provide alternative content for search engines to access. Not including these elements to videos is probably a common mistake. They are the ones that allow search engines to read videos or images. It is important that you do not forget to put this label, which is a text alternative that allows search engines to read an image. Well, I can tell you that this is a Black Hat SEO technique. This technique is based on adding hidden links or texts to users to attract search engines. If you want a good positioning strategy, forget about doing this. Check that your URLs redirect to the sites where you want to send your users, Ensure that they do not redirect to an unrelated page. It is amazing to see that there are still sites that are still forgetting to put the Meta description. The Meta description is the one that provides the information of the content of the page to the search engines. The sitemaps are valuable, so make sure you have one on your website. There are indexing problems, and the sitemaps help solve this. If you use a content manager such as WordPress and use the SEO by Yoast plugin, the plugin will create an XML sitemap automatically without having to create another, and it will be updated automatically. 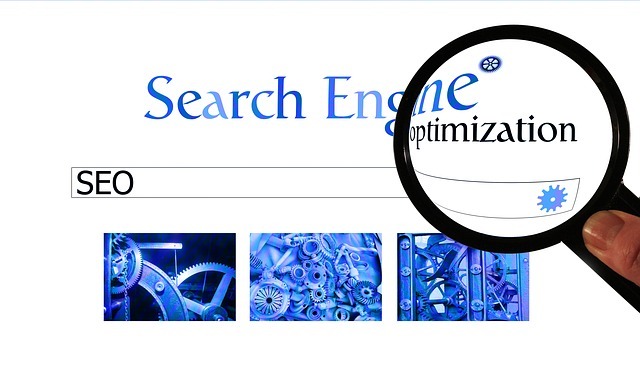 Do not forget your XML sitemap in your SEO positioning strategy. It is important to take care of the use of these labels, knowing where to put them is something important that you should not overlook. • H1 should always be the title, and there should be no more than one per page. • Do not jump from an H1 label to an H3 without going through the H2 label. These tags create a hierarchy structure for search engines, so make sure you use them correctly based on your content. We use them to highlight content on our page that we consider important. Our keywords are important, but that’s not why we highlight them in bold letters constantly. Forget about this! Because it is not good for your positioning strategy. You must always control the broken links that you may have on your website since having them will negatively influence your positioning strategy. So go ahead, get them! Well, I hope I have helped you a little more with your positioning strategy and make you get some of the most common mistakes that you should avoid at all costs, and if you want to comment something, we will be happy to answer you. Melissa Crooks is Content Writer who writes for Hyperlink InfoSystem, a mobile app development company with the best team of expert app developers. Hyperlink InfoSystem is located in India with offices in California and New York. She is a versatile tech writer and loves exploring the latest in technology trends, entrepreneurship and startups.